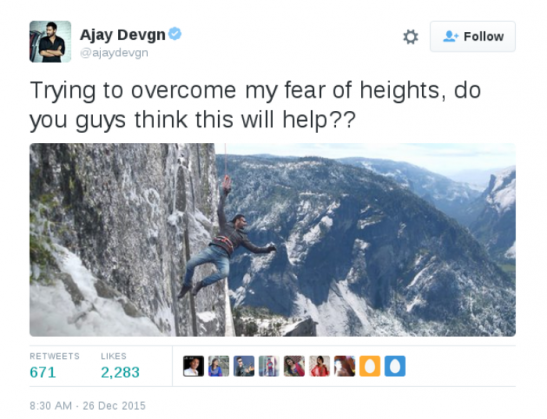 Home » Bollywood News » Visit Shivaay sets through Ajay Devgn's photo-filled tweets! If you've spent enough time looking at entertainment news updates today, you know that the Shivaay first look is up. And Ajay Devgn himself released it. But what we found far more interesting than Devgn's mountain antics were his cute tweets from Shivaay sets. Wish you all a Merry Christmas from the sets of Shivaay.